Have you experienced Heron Campers? Help others learn about this company by sharing your first-hand information with other road-trippers. 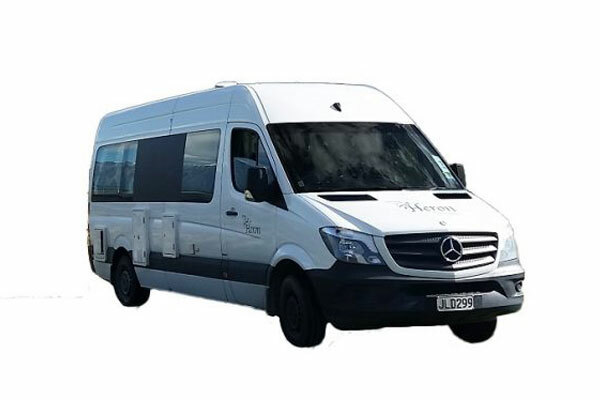 Highlighting a fleet of recent, certified self-contained motorhomes, Heron Campers is a popular choice in NZ with depots in Auckland and Christchurch. Under the umbrella of a big company, this family-friendly rental is aimed at the mid-range market. 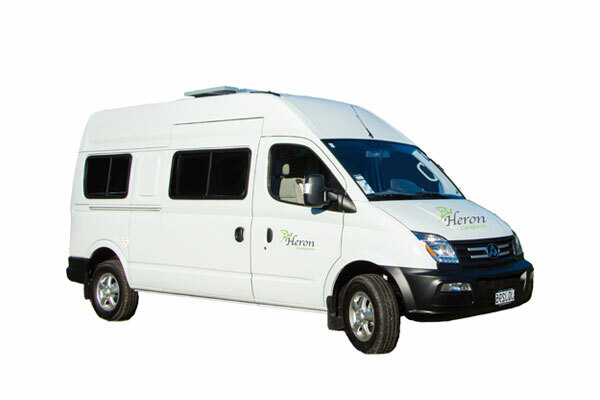 Started in 2016, Heron Campers is under Tourism and Travel Holdings Ltd, with two other motorhome brands catering to different types of renters. Heron Campers targets the middle range by offering certified self-contained modern motorhomes great for couples and starting families. 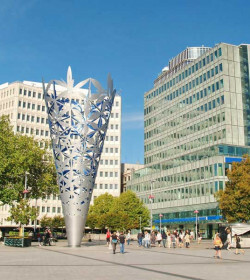 They have pickup and dropoff in Auckland and Christchurch as well as free airport service from and to the airport. Offering three modern motorhome models with different style and sleeping capacity, these units provide the needed comforts of an apartment-style camper, including a media kit with GPS navigation system, WiFi internet modem, cell phone and NZ sim card as well as outdoor entertainment such as camping chair, camping table and roadmaps. Not only that, all are claimed to self-contained motorhomes, by which you can save by freedom camping. Since the units are self-contained, furnished motorhomes, each comes with a fully equipped kitchenbuilt-in shower and toilet, and independent heating system. The Heron 2+1 is a nice option for couples travelling with a small child. Because of the fitted three-point seatbelt between the driver seat and the passenger seat, all three can sit together in front. The roof comes with a solar panel that supports the internal battery system. Run by either diesel or gas, the unit operates with a 12V battery. This automatic LDV Heron Twin features a single bed on top of the rear lounge/ double bed, which is designed for a child up to 45 kg. Under the convertible rear lounge is a plentiful storage for your stuff. The 2016 Mercedes Sprinter Heron Trio is great for small families or a group of three adults. The driver and passenger seats can easily be swiveled around for in between coffee breaks. At the back of the driver's cabin is another seat that transforms into a single bed, making it suitable for your child. The convertible U-shaped lounge at the rear comes with an adjustable table so that you have the option for two single beds or one double bed. Surprisingly, this family-friendly motorhome furnishes an exterior BBQ slideout. This 4 berth LDV camper is a family-oriented motorhome for two adults and two children. The kids can sit comfortably in the area behind the driver's seat. At night, they can retire easily at the luton bed equipped with safety net while the adults at the double rear bed. The permanent rear bed provides extra storage space that can be accessed from the outside. For convenience, there's an internal walkthrough access as well as diesel heating system and reversing camera. Enjoy some BBQ party with the help of the Weber outdoor-barbeque. The insurance excess amounts to $250 and $2,500 for drivers under 21, with the inclusion of tyre and windscreen replacement and even an extra driver. This means you can get a great deal of savings from them. 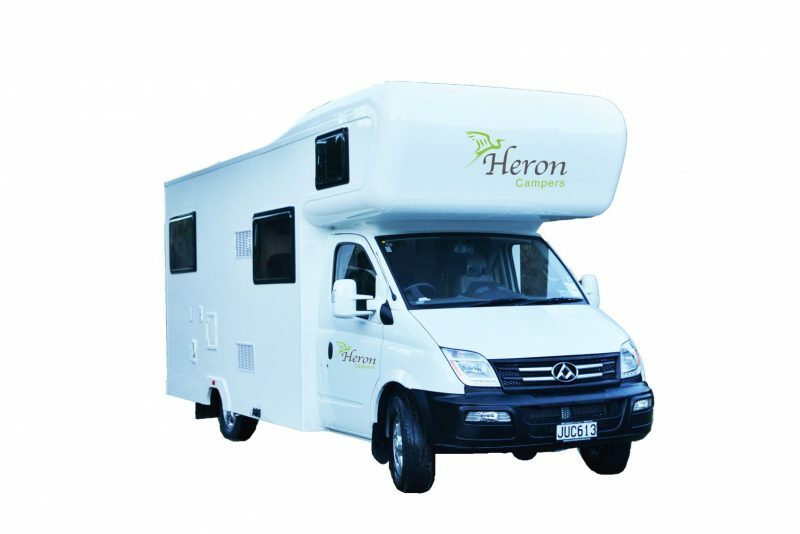 Heron Campers holds a positive reputation of offering modern, family-friendly motorhomes at very competitive prices. There may only be limited rental options but all motorhomes are a catch, depending on your preferences. 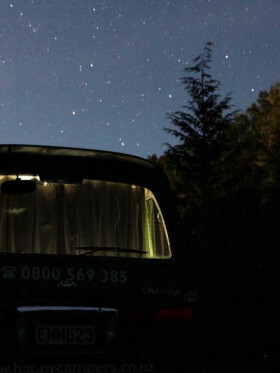 Plus, these are self-contained campers, which means freedom camping and savings! If you're looking for an attractive hire price for your touring family, chances are you'll get a nice deal from Heron Campers. But if their fleet does not convince you, you can try the rental range from their sister companies: Budgy and Euro Campers. Have you experienced Heron Campers?